Several years ago while I was building my first internet business (an online drop-shipping sporting goods store called RobbinsSports.com), I was always on the lookout for tips and advice about how to market my business. I soaked up everything I could about link building, content writing, and other aspects of how to get traffic from Google (i.e. search engine optimization) and other aspects of internet marketing. Especially since I was somewhat light on experience compared to the experts in the early 2000s, I was constantly employed strategies to help my business grow by trying out what was working for others. In search of more education from interaction with people in the know, I found a local meetup group focused on the topic of internet marketing strategies. I invited my brother to come along. He was also looking for ways to increase traffic to his ecommerce store, which sold wedding rings. At the time, both of us were making over $100,000 per year in net profit on our businesses, but we were both well-aware that we had a lot we could learn about marketing to be better entrepreneurs. The first time we attended the monthly meetup group, we were blown away with some of the new things we were introduced to during the hour-plus strategy discussion. There were some domainers (people who flip domains) talking about how to find undervalued domains. We heard a black hat “get to the top of Google fast” guy spouting technical jargon more quickly than we could take notes. Other people were talking about all the amazing keyword discovery, rank tracking, and other optimization tools they used. After the meeting, the discussion between my brother and me went something like this. “Wow, those people are amazing. I bet they’re all making a killing!” We wondered out loud if some of these folks were making over a million dollars a year. They just seemed to know so much! Feeling like we had been drinking from a firehose during the meeting and hadn’t quite comprehended actionable strategies from the discussion, we marked our calendars for the next month’s meeting and made a point to be early. The following month, we arrived 20 minutes early to the meetup group, hoping to be able to find a few people there and talk specifics about what they were doing to be so successful. We were happy to see that the mad genius “quick ranking” guy from the previous meeting was also there early, and we started up a conversation with him, asking specifics about his techniques and their results. After a few probing questions, we were startled to hear that his marquee accomplishment was getting a long-tail keyword phrase (some obscure 4-5 word term) to rank on page 5 of Google’s search results after just 2-3 weeks of trying. After a few more back and forth questions to be sure, we wrote this guy off as someone who really didn’t know anything, but simply wanted everyone to think that he did. Later, when the official meeting started, I purposely sat next to the guy who had, at the previous month’s meeting, shared all sorts of insights about the tools he used and made it sound like he was the Google whisperer. After a few direct questions to him, including inquiring about which website and company he owned, I found out that he was actually working as a hot tub mover at $15/hour, thinking about doing his own thing, and in the meanwhile looking for a job. He asked me if I knew of anyone who was hiring someone who knew how to do search engine optimization. As it turned out, we soon discovered that we were in a room full of people who knew how to throw out buzzwords, regurgitate second hand stories, and postulate what-ifs, pretending that they had much more clout and knew much more than they actually did. That experience and many others similar to it have made me become much more selective about who I take advice from. I’ve found that there is no shortage of people with advice, counsel, and instruction. One of the biggest challenges in life seems to be figuring out how much weight (if any) to give to each piece of advice we receive on a daily basis and figuring out how to prioritize (and disregard where appropriate) input we receive from interactions that range from our closest family members to respected authorities to information we come across on the news and in articles like this one. I’ll share with you what I’ve learned in my four decades of existence on this planet. Advice comes to us in lots of forms. Some of it we seek out intentionally, such as when we go to church or take our child to visit the doctor. Most of it just lands in our laps as we consume information on the internet or on television and other forms of media, and as we interact with various people daily. There are several filters I’ve found useful for understanding how to react to advice. I find myself intuitively appealing to these filters as I assimilate advice and information I encounter on a daily basis into the decisions I make and the person I want to assertively become. Your relationship with the source: Advice from close family and vetted friends, especially those who align with my value system and who know me well, typically take priority over acquaintances or strangers. This filter has a lot to do with the next filter, which involves why the advice is being given. The motivation behind the advice: Does the person have my best interest in mind, or are there selfish motivations that would naturally make it so that the advice is more likely to be detrimental to me than helpful. 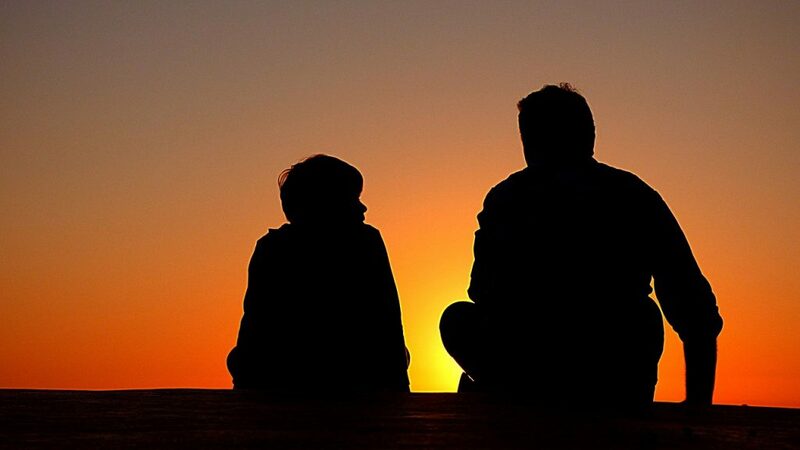 Family and close friends are more likely to give advice that is intended to benefit the receiver compared with those who don’t have a vested reason to give favorable counsel. How well does the advice match up or conflict with my experience? : Perhaps the best teacher in life is a person’s own experience. Most humans (I’ve seen this break down occasionally) are naturally configured to learn lessons from their experiences unless abuse or some other misfortune causes their confidence to erode, in which case they stop trusting their own judgment. When applying advice, it is helpful to ask, “How consistent is this with the structure of understanding I’ve internalized based upon my own experience?”, while also understanding that there may very well be gaps in our respective experience meshes that might require us to do more extrapolating than normal. How trustworthy is the source of advice generally? : Some people simply tend to be more thoughtful and intelligent than the rest of the masses. They have a history of making good decisions about just about anything because they’ve developed the skill of quickly understanding context for almost any situation and are capable of drawing rational and intelligent cause and effect relationships regardless of how much experience they have with that particular subject. Advice from people who have proven themselves to be good judges of character, who naturally understand the essence of various scenarios, and who have earned the reputation of being wise is more useful than advice from people who aren’t known for possessing those qualities. How trustworthy is the source of advice on the specific topic? : Ours is an economy of specialization. The vast amounts of knowledge available in the modern world on topics than range from proper nutrition to fighting diseases to parenting and disciplining children to financial principles for retiring early give each of us access to deeper understanding from experts. Because I know that my tax preparer has served thousands of businesses similar to mine, I trust his judgement regarding how to minimize my tax obligation legally. However, I’ve never bothered to ask him about anything related to my health for obvious reasons. The significance of the impact of the advice: If I’m standing in the aisle of a grocery store comparing bottles of pickles and a stranger jumps in and mentions that she heard that one of them is healthier or tastier than the other, I may very well take that advice because it has very little bearing on me and my family. However, when a doctor tells me that all my kids need to follow a strict vaccination schedule, I understand that my response to that advice has much more impact. In fact, less than a year after I moved my family to Costa Rica, my wife was due with our sixth child. We found out that the tuberculosis shot (which is rarely even given in the US, and which can have unpredictable long-term side effects) was not just advised in that country, but mandatory for newborn children. When we found out there was not way around it, we chose to cut our time in Costa Rica short and move back to the US prior to the time for our new child’s delivery. For decisions that have larger impact, more consideration has to be put into each piece of advice we encounter. For small decisions that involve insignificant impact upon us, the source of the advice isn’t such a big deal. To help you understand how I came up with these specific filters and how I use them, I will share several examples from my own experience interacting with people from whom I’ve received advice over the years, or from situations where I’ve observed advice being handed out in one form or another. In Utah, where I live, it seems like everyone who has ever taken a business class thinks he is on his way to becoming the next “Silicon Slopes” bred billionaire. The tech environment here leads to so much puffery it can be disgusting. I’ve experienced lots of scenarios where hopeful wishes are mistaken for actually having accomplished that thing. In too many cases, I have heard some of the most unreasonable advice from people who either intentionally or blithely mistake pie in the sky for a perpetual supply of food on the table. Regarding advice about business and finances, I’ve often thought that if societal norms were broken down and I could be more direct, I’d ask for a certified net worth statement before listening to any advice from many of the people I interact with. I’m confident that in many cases, when a person understands that his “mentor” is a guy who’s tens of thousands of dollars in debt from getting his MBA degree and that the web domains of the last three “successful exits” are all available on SnapNames.com for $35 each, that person would be inclined to diminish the value of the advice and not be sidetracked by a wannabe entrepreneur. On the other hand, there are lots of people I’ve met in the Utah business community who are rock solid, whose advice is highly valuable, and whose intentions seem to be focused on giving back, recognizing that they themselves have been blessed by mentorship along their own paths to business success. These people are usually (naturally) wealthy, but they normally don’t flaunt their wealth, nor do they bang their chests like the tech business groupies who are simply interested in appearing to be at the same level as the real achievers. One particular story involved a friend of mine who recently told me he was planning to raise some investor money for his new startup. In the course of our conversation, he mentioned that someone (a person we both know and have both interacted with on a business level) had told him about a funding deal he had recently closed. My friend recapped to me the terms of this supposed closed funding, which were simply too good to be true: a 15% equity stake in a company (still in the initial “idea” phase) for about three-quarters of a million dollars in startup capital. I also suspected that he was likely looking for a chance to become a highly overpaid adviser for my friend’s partners, a group of aspiring business people who lacked experience, throughout their fundraising efforts. I could tell that my friend was seriously considering the offer, so I quickly walked through with him an evaluation of my experience with fundraising and where realistic ownership and funding amount numbers tend to fall. The discussion made it obvious that the advice he had received, including the example deal, was simply not realistic. As I expected, it wasn’t a done deal. Instead, he’d been presented a false narrative as evidence of potential from someone who would likely also be promising to secure another false hope for my friend and his partners in exchange for exorbitant consulting fees. In my approach to consuming advice from people I meet in the business community, which usually has potential to be high impact, I’ve learned to be extremely leery about advice. I’ve learned to almost always treat stories about unusual business successes as being embellished, then I try (if I haven’t already written off whoever is giving the advice as untrustworthy) to figure out where the truth actually lies. Which Vaccinations Should My Child Receive on What Schedule? 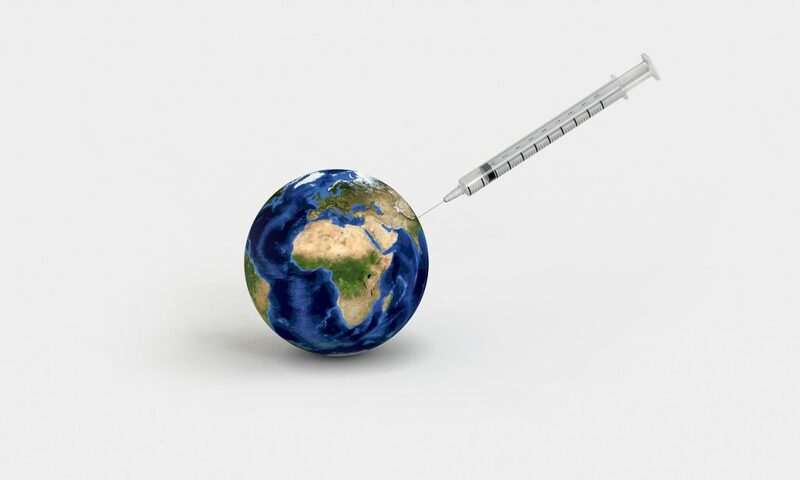 As you are likely aware, a divisive debate has emerged throughout the world about the safety and effectiveness of vaccines. The debate is still in a stage that makes it so that, despite the thousands upon thousands of pieces of evidence from medical doctors, parents and other people with vested interest in the subject (including vaccine injury payouts, lobbying, cover-ups) those who even dare ask, “Wait a second, what exactly is this stuff you’re injecting into my child’s bloodstream?” are treated like they wear tinfoil hats and are illiterate. The more I’ve investigated the arguments on both sides (including reading lots of technical information published by physicians such as Physicians for Informed Consent) the more convinced I am that those who are vehemently shouting “vaccinate all the people” either don’t understand some important details about the immune system and vaccines or they are part of a system that is simply based on sinister, profit-driven motives. One of the key points of this debate surrounds the discussion of whether vaccines cause autism. I have seen articles, infographics and other pieces of information shared regularly from friends and others on social media, declaring that research has shown that there is no connection between vaccines and autism. However, I also know that the modern world of science has admitted both that they don’t do extensive safety testing for vaccines and don’t know the full side-effects (the inserts on vaccines are evidence of this fact) of any of the vaccines being administered. On the other hand, modern science has also stated that they simply don’t know what causes autism. If you put those two (not knowing the side effects of vaccines and also not knowing what causes autism) together, it is impossible to come up with the conclusion that there is no link between vaccines and autism, especially in light of lots of witnesses (one of the most compelling is the story of the McDowell triplets) that have presented enough evidence to show that at least in some cases, autistic behavior has been the direct result of kids receiving vaccines. One of the lessons I’ve learned about taking advice or considering evidence on one side or another of a debate is this: if someone cannot rationally and civilly discuss a topic without resorting to name calling, bullying, and using hyperbole, their advice is likely wrong. Otherwise, it would stand on its own and wouldn’t need to be dressed with a facade that makes it look like something other than what it actually is. When I consider the motivations that exist for enforcing vaccines, despite the overwhelming number of medical professionals who are on board with herd immunity and who can’t help but badger parents who don’t vaccinate, I see major flaws in that system that make me feel confident going against popular opinion. There is too much evidence of pharmaceutical profiteering, protection of vaccine makers from liability by people in government who have obvious conflicts of interest, and other reasons I simply do not take advice of the status quo doctors at face value. Another lesson I’ve learned (or had confirmed) from this debate is that people are naturally equipped with a protective intuition that helps them sense danger in many cases. As a religious person, I believe that intuition comes from God and that the skill can be developed of being highly sensitive to it. In the face of the conflicting evidence, my intuition tells me that the more objective pieces of truth about vaccine effectiveness and safety are most likely coming from the resistance than from those who have questionable motivations to enforce shots on everyone in society. 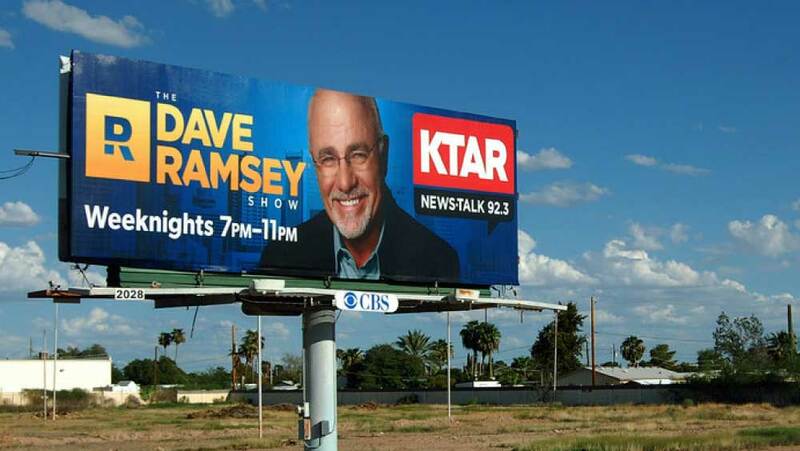 Dave Ramsey is a guy who has gone through some low valleys to reach the mountain peak he seems to be on now. It is well documented that he went from being $125,000 to having a net worth of over $50M. If you spend an hour or so listening to his show, you’re likely to hear multiple questions and testimonials of people in various stages of working their ways through his program for eliminating debt and creating wealth. I haven’t read his books nor purchased any of his programs aside from the annual subscription I have for his EveryDollar app, which my wife and I use for managing our family budget. In the years that I’ve listened to the Dave Ramsey show, I have seen his advice resonate with my own personal experience. Some of what he preaches, I was already doing before learning about his approach, most notably not spending more money than I bring in. Although I disagree with some of his hard line stances (such as his advice to not ever using a credit card), I almost always regard his financial advice as being sound, and I implement a lot of what he teaches as I work to discipline my on build my own wealth. As part of his operation, Dave Ramsey sells things (he has advertisers for life insurance and other financial services), but his consistency and no-nonsense approach make him a valuable source of advice for anyone who wants to become better at managing money. I’ve observed that the advice he gives on his radio program and his other teaching channels is always consistent with his message regardless of whether it helps him sell more products or promote his advertisers. On the same radio station that broadcasts Dave Ramsey’s show, KNRS in Salt Lake City, I also sometimes tune in to the Glenn Beck show in the morning. In many ways, Beck seems like he aligns with many of my views on social and political issues. In fact, he even belongs to the same unique religion as me, having converted to The Church of Jesus Christ of Latter-day Saints in 1999. On his radio show and on his television network and website, Glenn Beck also shares lots of unique pieces of information that are hard to find elsewhere in the media. The problem I find with trusting Glenn Beck more than I do is that he makes a habit of intentionally stirring up feelings of panic, constantly presenting doomsday scenarios using the . Just when I think he is simply trying to be a watchman on the tower, he jumps into advertising gold, peddling it on the heels of a piece of information that seems overhyped, likely taken out of context, and often shared simply to make it seem like the cure for the just-described pending meltdown of our society is to buy gold from Goldline. There was a nationwide radio show that I used to listen to occasionally that was hosted by a woman named Delilah Depending upon your preference in music, you may have heard of the show. Between songs, Delilah would often take phone calls from listeners, many of whom wanted advice on dating and other aspects of their romantic lives. Delilah was never at a loss for advice. Some of it seemed practical. Much of it felt a bit off. Later, after my Delilah listening phase had passed, I learned some pertinent information about her advice. She has been married and divorced three separate times. One of her marriages lasted only six weeks. I’ve often wondered since learning that piece of information how someone would be so bold as to counsel thousands of people nationwide on a subject, creating a lasting romantic relationship, she apparently struggles with. Certainly there tend to be disconnects (usually small but often more significant) between someone’s ideals and their practical lifestyle. However, I prefer to take advice from those whose reality is much more aligned with their ideals. One of the misconceptions that I’ve seen when it comes to advice giving is that people generally tend to accept advice much more readily from people who are wealthy. Wealth is usually correlated with intelligence and wisdom. This idea of possessing wealth equating to being a vessel of good advice is captured in the musical Fiddler on the Roof. Reb Tevye, the main character, a poor Jewish farmer in Russia, sings about how life would be different if he were rich in the song “If I Were a Rich Man.” The following words from that song tell the story about how society typically perceives the wealthy. The most important men in town will come to fawn on me. When you’re rich they think you really know. While I’m sure that there is a degree of correlation between wealthy people and good advice, it’s dangerous to oversimplify this relationship. Many wealthy people became wealthy simply by being born into a wealthy household. A 2005 paper about sources of wealth estimated that 34-45% of wealth is inherited. If that stat is true, nowhere close to everyone who is wealthy comes from that profile of people who work hard, exercise good judgement, and become “self-made” wealthy. During one of my years in college, I encountered a situation at my work in the business department where one person’s opinion almost always determined the final outcome of what our specific group did. It was well known that this person was wealthy. What was not as public was how he became wealthy: by inheriting a decades-old publishing company (newspapers) from his dad. One of the managers of the department, who was frequently being run over by this person, vented to me one day how frustrated he was that someone could come into an ecosystem like that and dominate what took place simply because he had lots of money, very little of it directly his own doing. In many cases, this person’s advice on how to approach different situations was outdated, stemming from his experience with an antiquated system. Whatever worked in the past had made his family a lot of money. Even though he wasn’t very good (from the perspective of those of us he worked with) at applying his experience to other business models, the mere fact that he had “deep pockets” meant that it didn’t matter whether he “answer[ed] right or wrong.” His advice was sought and followed simply because he was rich. I think it’s important to take advice from wealthy people at its own face value and not give it extra weight for reasons that have no merits. Several years ago I worked for a short time as a real estate agent. After I earned my real estate license, I was put on a team of agents at Coldwell Banker who worked closely together. I didn’t last long in that industry. Soon after I joined the team, one of my colleagues there told me about something he did that has helped me understand how to classify advice and information from real estate agents. His advice to me as an agent focused on how to maximize my commissions when working with buyers. This agent told me about a client he was working with, a girl in her twenties attending college, who wanted to buy a townhome in a new subdivision that was located in a convenient area that made it easy to get to BYU for class and to Salt Lake City for other purposes. She wanted her to represent her specifically focused on buying a condo in that subdivision. When he called the builder in the subdivision, he was told that as a buyer agent, he would only be given a flat fee of $2,000. He wanted a 3% commission (which would have been closer to $3,500) instead. His solution to this commission “problem”? He lied to his client and told her all of the condos at the location where she wanted to purchase were sold out. Instead, he took her to see another subdivision, which was a 15 minute drive in the opposite direction from she needed to be during the day, and which was much less attractive for her situation. She ended up buying a home there, which added at least an extra half hour to her daily commute. This girl mistakenly relied upon the advice of an agent, thinking that he was looking out for her as he committed to do when he assumed a legal fiduciary obligation when becoming a real estate agent. Instead, he was only concerned about himself and increasing his commission. Had this client simply made a phone call to the builder directly, she would have ended up in a much better situation. She should have fired the agent and went about her house shopping with a different agent or no agent at all. I’ve seen situations like this happen so often in the real estate world that I normally recommend that people avoid using agents whenever possible. When you are represented by someone who is supposed to be looking out for your best interest, but who is more motivated by personal conflicts of interest (which exist all over in the real estate world), you are often better off simply reading through all the documents and doing the legwork yourself. Otherwise you can end up feeling like you leaned too heavily up against support that just didn’t hold up. Much of life seems to be about personal development based upon finding valuable sources of information. If you listen to the wrong advice in situations where it’s critical, it can prove costly. It’s certainly worthwhile to set up your own structure and protocol for receiving and heeding advice. Hopefully you’ve found my own experience with that regard helpful. Feel free to share your own advice, stories, or experiences about who someone should take advice from.